Our Award Winning Camps will be offered at all 4 of our Locations. 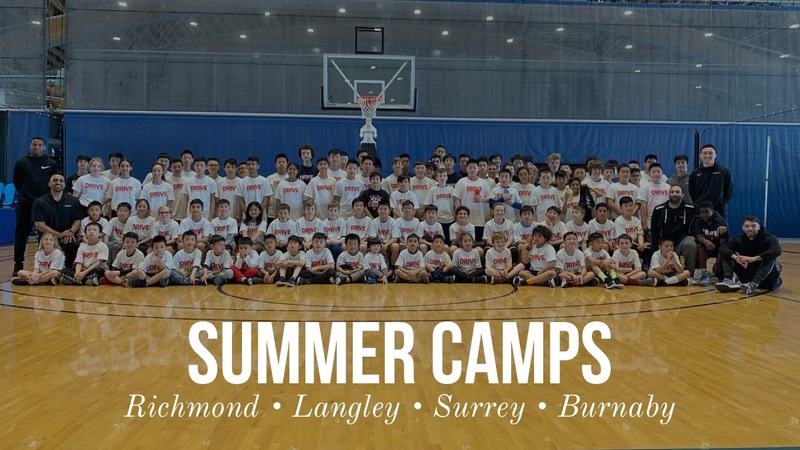 DRIVE will be running our Summer Camps in Richmond, Langley, Surrey and Burnaby. In this 5 day camp you will learn the fundamentals of shooting, passing, triple threat, scoring moves and more. You will be introduced to team concepts in a fun and competitive learning environment. The Camps are from 10am-3pm and for Ages 7-17 of age and for players of all abilities. Payment is done online through our website. Read instructions below to register and pay. Choose a location. Click on the Register Here button next to the week you want to register for. You will register one week at a time. Don’t worry, the system saves all your information so it will only take a couple of clicks to register for additional weeks. We will refund campers if they are unable to attend the program.